Most Marvelous Light & Bright Nantucket Style Waterfront Home With Private Dock! Beautifully Sited-Every Room Has Waterviews! Over 3500 Sq Ft, High Ceilings, Open Plan - Modern Kitchen & Baths. 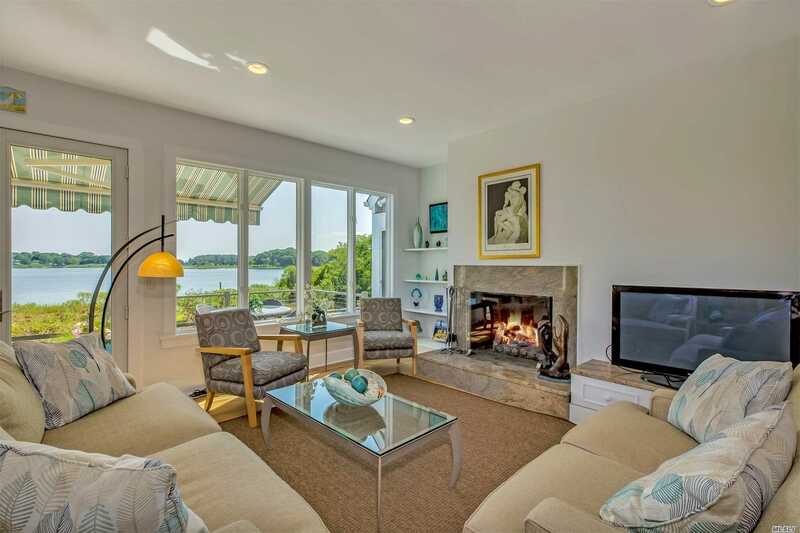 1st Flr Master W/Fireplace & Direct Access To Deck And Waterfront. Two Ensuite Bedrooms - Four Bedrooms, 3.5 Baths In All. Great Rm W/Fireplace, Family Rm, Hobby Rm/Den. Al Fresco Dining, Lounging, Spa, Fire Pit, Outdoor Shower. Enjoy Boating, Kayaking & Swimming From Your Back Yard! Easy Walk To Town!